The Fabric Kingdom is my new product founded on my passion to layer styles and techniques they can bring to your design process. I'm happy to ship you a complete toolbox packed with all you need to create adorable, eye-catching designs that will stand out, as easy as possible. 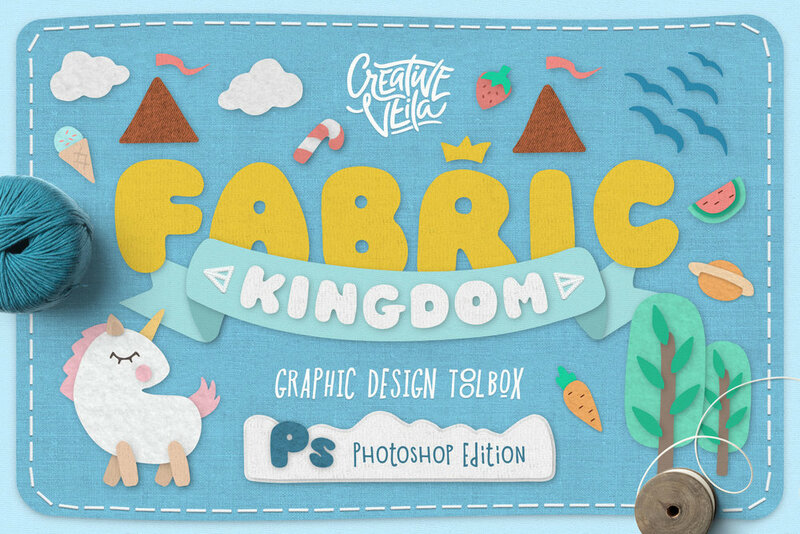 Fabric Kingdom brings you the most common and popular fabric textures (carefully picked and digitized) as a set of Photoshop styles easy to apply with one click to any layer you want! 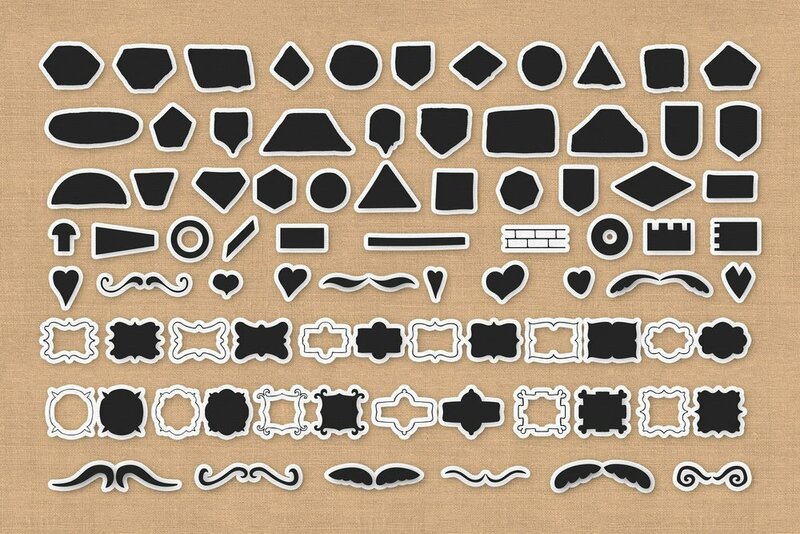 Basic shapes, titles or illustrations — works perfectly with all of them. Though, I recommend to use vector shapes for the easiest color editing: just apply the style and change the color of the layer, you'll see the change immediately. Naturally, this pack wouldn't be complete without these assets. Just pick one of 280+ brushes, set the color and the size, and drop the boldest and creative lines you can imagine! 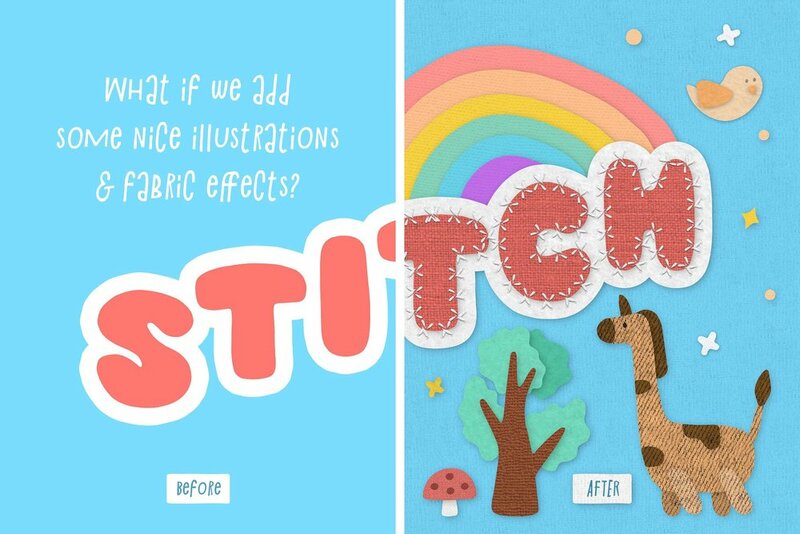 Or, just use included action with any layer you want to create beautiful stitch outline. 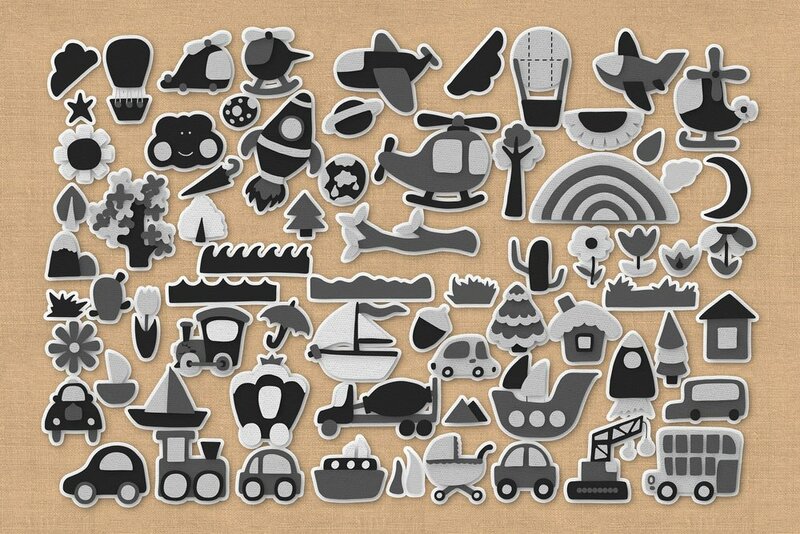 If you're up to the quickest result, you will appreciate a set of over 500 vector illustrations that come with the pack. They are properly layered and designed with layer style overlay in mind, so you I'm sure you'll have tons of fun creating your unique compositions and combining them in a creative whirlpool of imagination. Original vector alphabet (PSD, EPS, High-Res PNG).